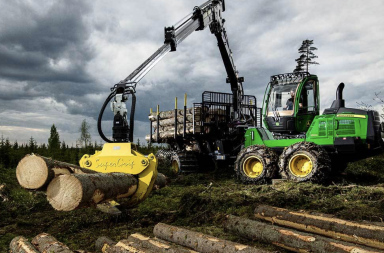 If you’d like to know more about such mysteries as Stage IIIB, IT4 and Final Tier 4, that is, the emission standards for diesel engines (in this case for forest machines) then read on! 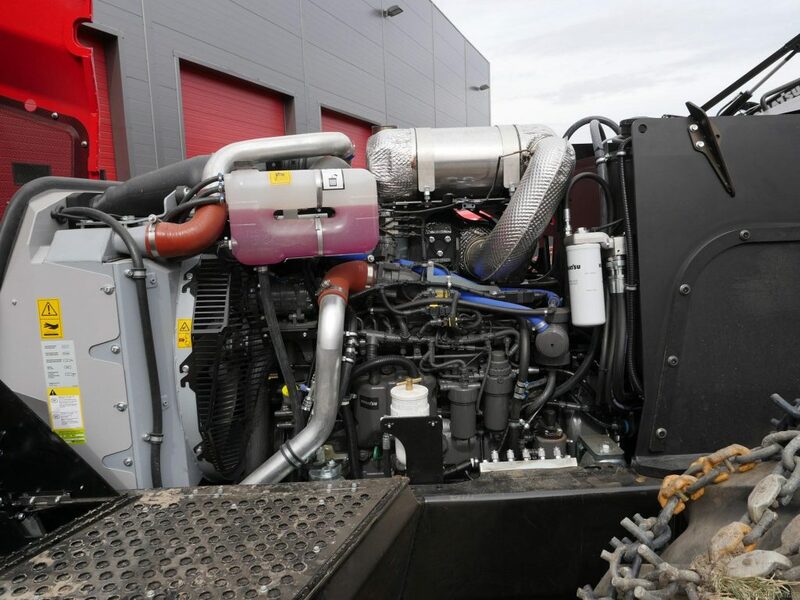 This article is intended as a first look at the topic, mainly for the somewhat larger diesel engines with a rating of over 130kW. Writing detailed texts about new forest machines means that I’ve been unable to avoid also dealing with the engine technology in these machines. I was forced to start writing down all the terminology and technologies so I could keep them all straight, and then it struck me that this might be information worth passing on to other people. So the text below is an attempt to pass on the information I have myself gained by talking with machinery manufacturers and experts in the field. If you find any errors just let me know and I will fix them. And if you have anything to add, please comment below. Forest machines are classified as non-road mobile machinery (NRMM) and diesel engines in them therefore have their own directive to follow. This is not the same directive as for e.g. diesel engines for trucks, but more about that later. Within the European Union the relevant directive has the name 97/68/EU. 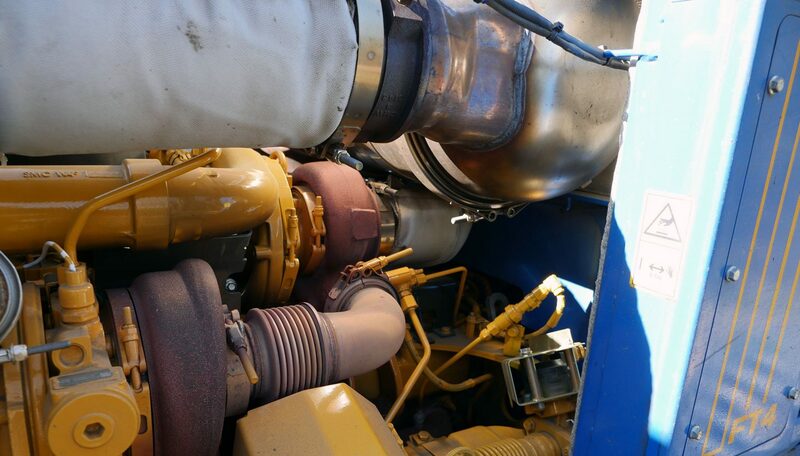 Today’s diesel engines in work machines (which includes forest machines) must meet regulations and standards in order for their sale and use to be allowed. The regulations differ according to where in the world the machines are sold. With regard to emission standards – that is, how much pollution an engine can emit – two directives are mentioned most often, one is an EU directive and the other applies to the US. In both directives the emission standards are raised in stages and generally speaking they follow each other, that is, they are comparable. In the EU directive the increases occur in Stages and in the US in Tiers (EPA). As the stages have been introduced, the directives have forced the engine manufacturers to improve their diesel engines. 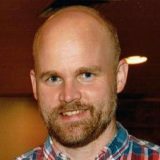 They can design their engines however they want as long as they stay within the regulatory framework, but it has turned out that it is possible to find common technical solutions for every stage. EGR (Exhaust Gas Recirculation) technology in various forms. SCR (only in larger amounts). EGR stands for Exhaust Gas Recirculation and is a technology developed in the US in the 1970s. The principle is to install a valve between the engine’s exhaust outlet and the air intake and use the valve to return some of the exhaust gases to the engine so they are mixed with the intake air and reintroduced into the combustion process. This reduces the oxygen supply to the engine and lowers the emission of nitrogen oxides because the combustion temperature is lower. C-EGR stands for Cooled Exhaust Gas Recirculation and is a refinement of EGR. The recirculated exhaust gases are cooled before being recombusted, which increases the effect of EGR (the reduction of nitrogen oxide emissions). SCR stands for Selective Catalytic Reduction and is a system for significantly reducing nitrogen oxide (NOx) emissions from diesel engines. The components of SCR are a tank for DEF fluid (Diesel Exhaust Fluid or urea, AdBlue) an injector for the fluid that is located in the exhaust pipe before the catalytic converter, and the converter itself. The most widely used fluid is urea, and in Europe it is generally referred to as AdBlue. AdBlue is a registered trademark owned by the German Association of the Automotive Industry (VDA). The fluid can only be called AdBlue if it meets certain quality standards. This is important to prevent the system being damaged by contaminants. Urea (which is also formed in the bodies of mammals as urine) is injected into the exhaust pipe before the catalytic converter and immediately turns to steam. As it does so, ammonia and water are formed. Via a chemical process in the catalytic converter, the ammonia transforms nitrogen oxide (NOx) into nitrogen and water. The particulate filter’s job is to capture the particulates (called “soot” in everyday speech) that are generated by the combustion in the diesel engine. Particulate filter design can vary but the most common one today is a filter that is composed of microscopic channels made of a ceramic material. 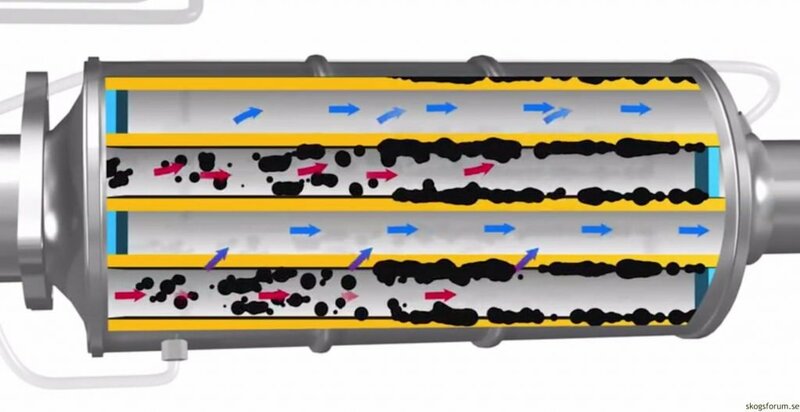 The soot gets stuck in the channels as it passes through the filter. One consequence is that the more soot that gets stuck, the more the flow worsens. To keep the flow resistance low, particulate filters must therefore be regularly cleaned, a process called regeneration. This involves rapid heating up to approx. 600 degrees Celsius (1,112 degrees Fahrenheit), at which point the particulates are combusted and pass out through the filter along with the exhaust gases. 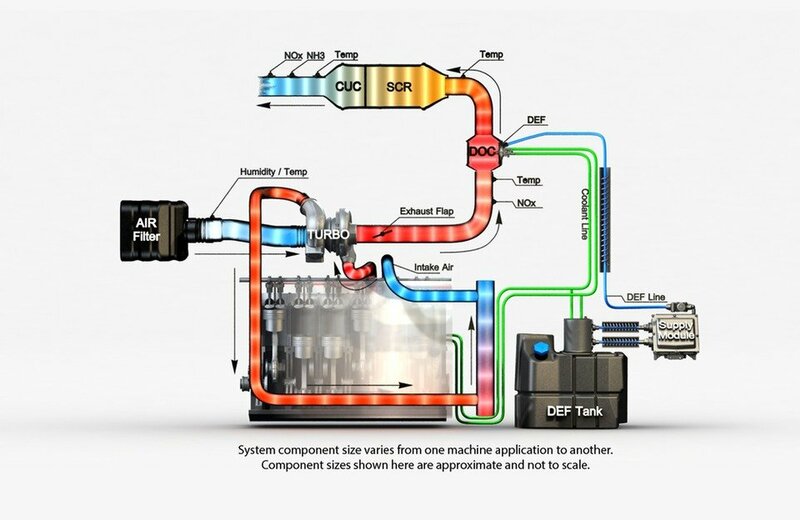 This heating process can be done in various ways; the most common one used today is for the computer to program the injection of diesel during the regeneration phase. This floods the engine with diesel, so that unburned diesel passes through with the exhaust gases and is combusted in the exhaust pipe before the particulate filter. This heats the filter up and enables regeneration. Another common method is that an extra injection nozzle sits just before the particulate filter. During regeneration, the diesel is injected directly into the exhaust pipe and combusted in the same way as described above. The regeneration process described above is called active regeneration. The opposite is called passive regeneration. In that system the particulate filter is located closer to the engine and is thereby almost automatically heated by the exhaust gases and thereby almost continually regenerated. The particulate filter can also (depending on the manufacturer) be incorporated with a Diesel Oxidation Catalyst (DOC). A DOC oxidizes gases, primarily carbon monoxide and hydrocarbons, and thereby helps to reduce particulate emissions. The principle of a particulate filter for diesel engines. 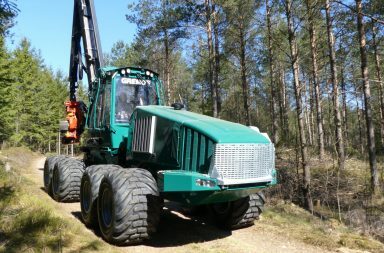 For larger forest machines using the CTL (Cut-To-Length) method, there are currently two technologies that have been chosen by various manufacturers to meet the Stage 4 standards. Rottne have begun to introduce Stage 4 engines in their series production. 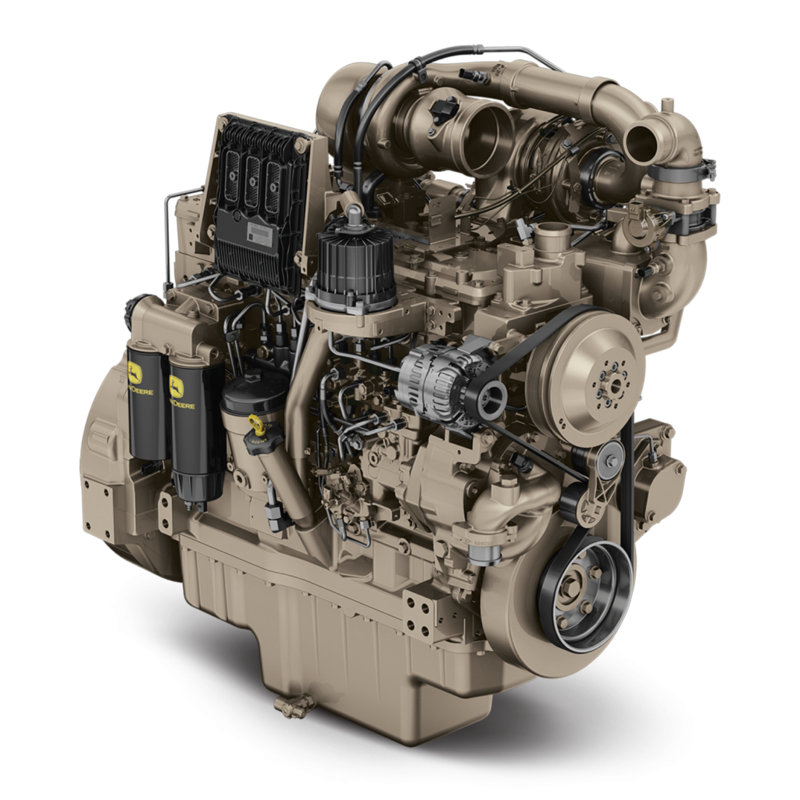 For some years now their engine supplier has been John Deere, whose choice of technology to meet Stage 4 is C-EGR with particulate filter and SCR. The principle of FT4 technique in a John Deere diesel engine. The above manufacturers have chosen engines from either Mercedes or Agco, who have chosen to use SCR technology in their Stage 4 engines. SCR Only technique, image from Case IH. SCR uses more urea (AdBlue), approx. 7% of the diesel consumption, whereas EGR uses 2-3% of the diesel consumption. SCR has no particulate filter, so no regeneration is required. But what about John Deere’s IT4 machines? Forest machines from John Deere 2015 are sold as IT4, that is, Stage IIIB. They have EGR technology with particulate filter but no SCR. 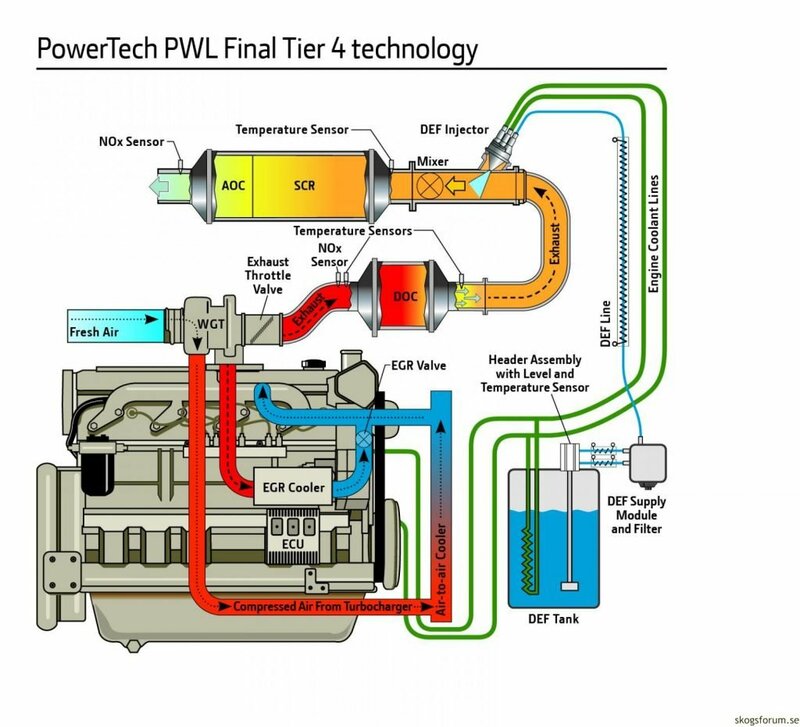 The reason why John Deere did not choose FT4 technology (even though they had it “inside” the company) is that they ordered IT4 engines before the regulatory framework for Stage 4/FT4 was introduced. John Deere can thereby finish selling its stock of engines with lower emission standards. A similar trend in the choice of technologies is evident in the truck industry – with the choices going in a variety of directions. Scania has chosen EGR technology with SCR whereas Volvo has chosen SCR technology. Stage 5 (Stage V, Tier 5) is expected to be adopted in about 2019. The major difference is expected to be further standards for particulate emissions plus possible initial demands on greenhouse gases. 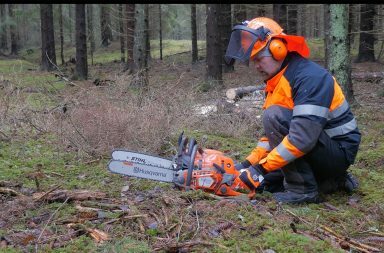 Volvo Penta introduced an upcoming Tier 5 diesel engine at Forestry Fair Elmia Wood 2017 in Sweden so the manufacturers are clearly starting to prepare the market for the future standards. Do you want to discuss this article? Feel free to register on Forestry and comment or discuss in our forum – Welcome!